But it’s really about meaningful baseball. Every team is 0-0, in first place and in contention. 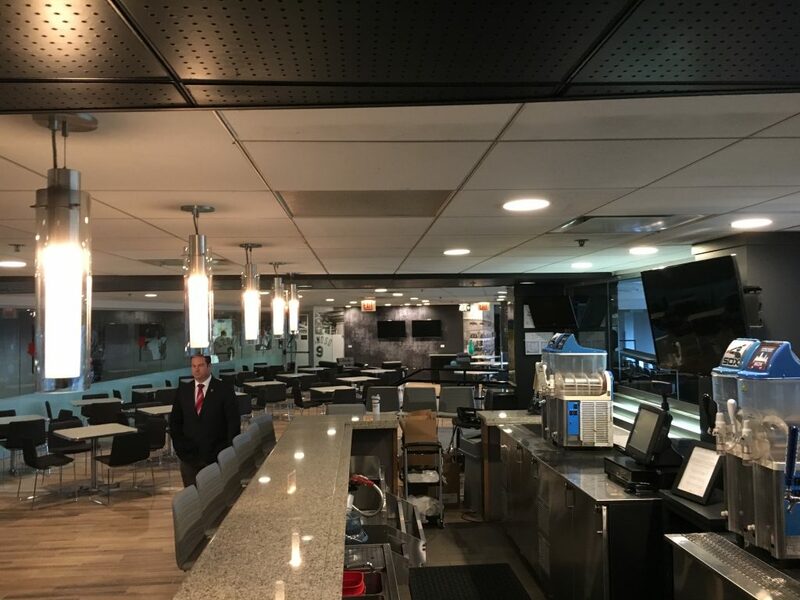 That excitement exponentially increases when the White Sox announce the new food and drink options for Comiskey Pa… hold on, U.S. Cellul…., I mean Guaranteed Rate Field. 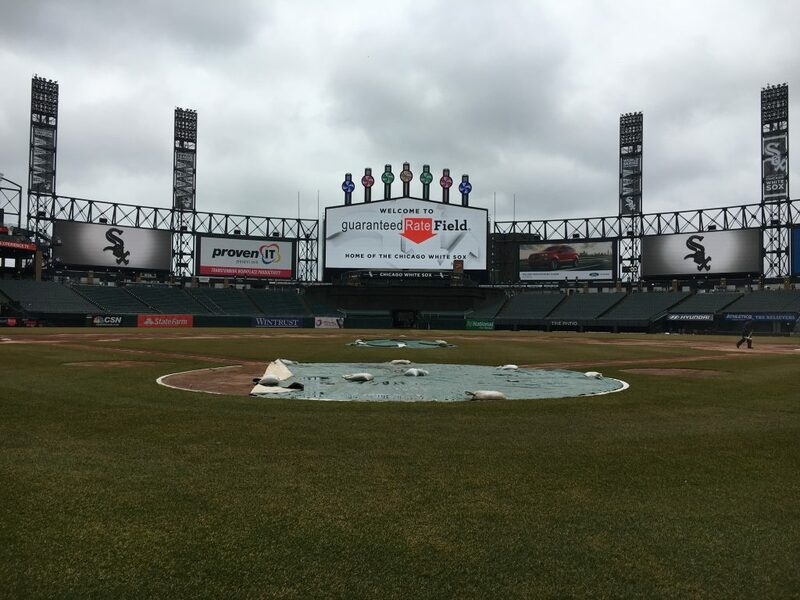 The White Sox decided it was a good idea to let us into the food, beverage, and stadium renovations preview tour for this year and, as both of us are White Sox fans, we had a blast. I’m dividing it up into three parts – Top of the Order (food), Heart of the Lineup (renovations) and the Lower Third (drink). Since I’m being nice, I’ll also note the section or area where you can get these items so you don’t have to bug the concessions people as to where these items are on the first game of the year. Like I’ve done the past four. 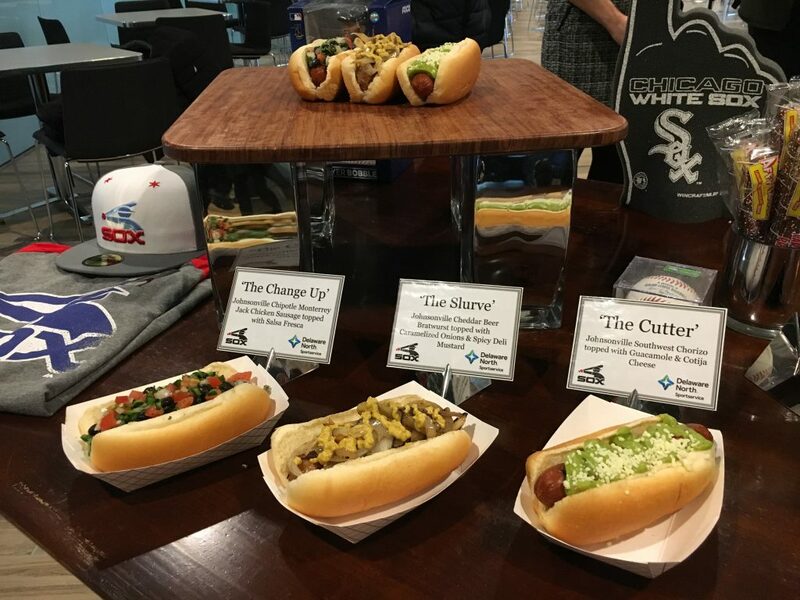 The food options at Guaranteed Rate Field are always some of the best in baseball. Every year they introduce some creative, exciting or just plain gluttonous (the nacho batting helmet and the brisket mac and cheese sandwich come to mind). This year most of the new additions have a “Latin-inspired theme”, as well as one big plate from downstate. But first, what’s gone. The cheesy beef is gone, along with the Tex Mex cart due to lack of sales. The Wok Off cart is grabbin’ some bench as well, as I’m guessing everyone laughed at the pun once, moved on, and didn’t buy anything. Much like The Deacon and The Milkman, gone but not forgotten. Cuban Burger (Sections 113 and 528) – an all-beef hamburger topped with ham, pork, pickles, Swiss, yellow mustard, and mojo sauce. 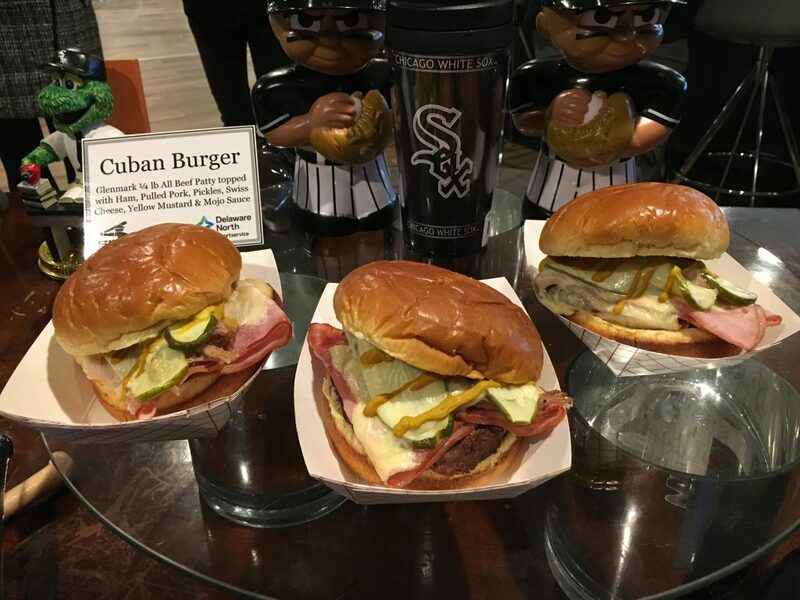 Since the Cuban sandwich has consistently sold well (as it’s one of the best deals in the park and delicious), Sportsservice decided to offer a burger-ified version of it. It was more burger than sandwich, and it didn’t seem to be pressed like the sandwich. Good, but I’d stick with the sandwich. The Change Up – a chipotle Monterey jack chicken sausage with salsa fresca. The salsa made the bun soggy and kept falling off the dog and the sausage itself was on the cold side. My least favorite of the three new dogs, but definitely one for those that like the spice. The Slurve – cheddar beer brat with caramelized onions and spicy deli mustard. Nice balance of cheese and spiciness. The least adventurous of the three, but a very solid, classic offering; will probably sell the best. The Cutter – chorizo with guacamole and cotija cheese. Lovely amount of heat from the chorizo, cut by the guacamole and the salty cotija. My favorite of the three new sausages and one I’ll definitely pick up on opening day. Buffalo Chicken Empanada (300 Club Level) – chicken with Buffalo sauce, four cheese mix and queso blanco dip. Scarfible. Would eat many, many of these. 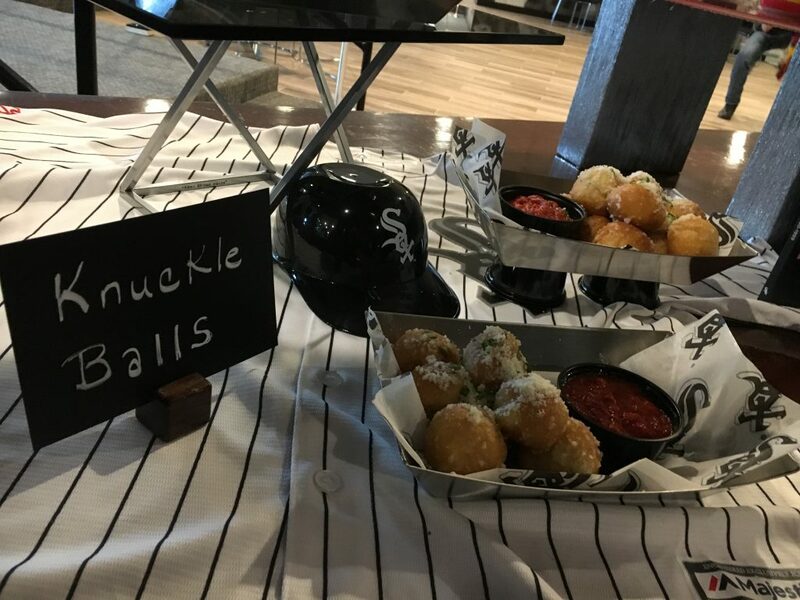 Knuckle Balls (300 Club Level) – Provolone-stuffed dough balls with parmesan, garlic butter and Pizzaiolo sauce. Between Ryan and myself we ate a whole portion, which appears to be substantial (pictured). Order with impunity. South Side Horseshoe (300 Club Level) – Italian sausage patty server open faced on garlic Texas toast with Giardiniera, fries and Modelo cheddar sauce. This was the top prospect at the tour, as it’s received the most buzz. Based on the Horseshoe sandwich that originated in Springfield, Illinois and enjoyed by Bette Midler, the Italian sausage patty was an interesting if unnecessary substitution to the sandwich. I also think it needed more cheese cause to keep the fries on the bread. That’d being said, I’ll still be trying it at a game if I get the chance. Churro Ice Cream Sandwich (Section 157) – choice of Prairie Farms ice cream on a warm churro bun. First item I get every year is a churro, so I’ll definitely be getting this. Hand-Scooped Ice Cream (Section 157) – just hand-scooped ice cream, but I was told freshly made waffle cones! Chocolate Caramel Pretzel Rods (Sections 101, 105, 144, 539) – and sprinkles too. All in. Craig hitting one out of the park (the screen in the upper right is what he’s seeing). Not any dramatic changes like in years past, but some interesting ones. The LED screens right below the 500 level (upper deck) are now one continuous crawl. 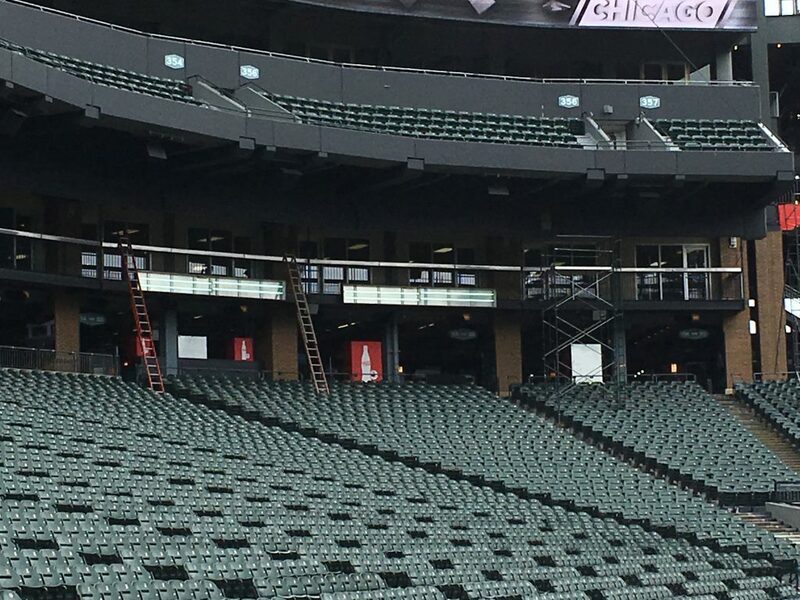 In order to accommodate that, the retired number had to be moved to below the 300 level (club level). Biggest fan interactive addition was the Virtual Reality Batting Cage. 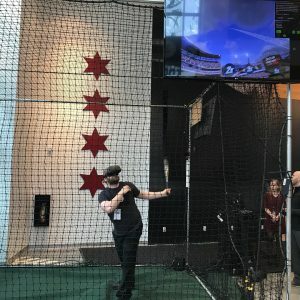 Located on the first floor of the Chicago Sports Depot, fans put on a VR headset, grab a sensor covered bat, and have 90 seconds to score as many points as possible, with home runs (and multipliers) being worth the most. Select night will have prizes for the highest scores. I got to try it and I would highly recommend it, but a word of warning – sit back on the pitch. It comes in a lot slower than it normally would. Just like they always put the department you need at the back of the store, so too did I decide to put the drink section at the end. Burying the lede. 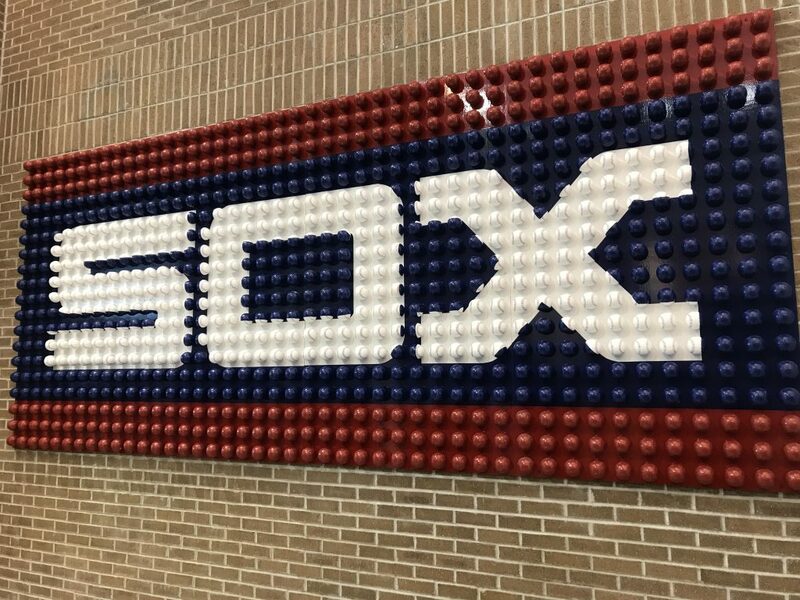 The Craft Kave was a huge success last year for the White Sox so they decided to expand it by opening a Craft Cave Express in Section 542. Because who likes to walk? The Craft Kave will have around 80 options while the Express will stock around 50. 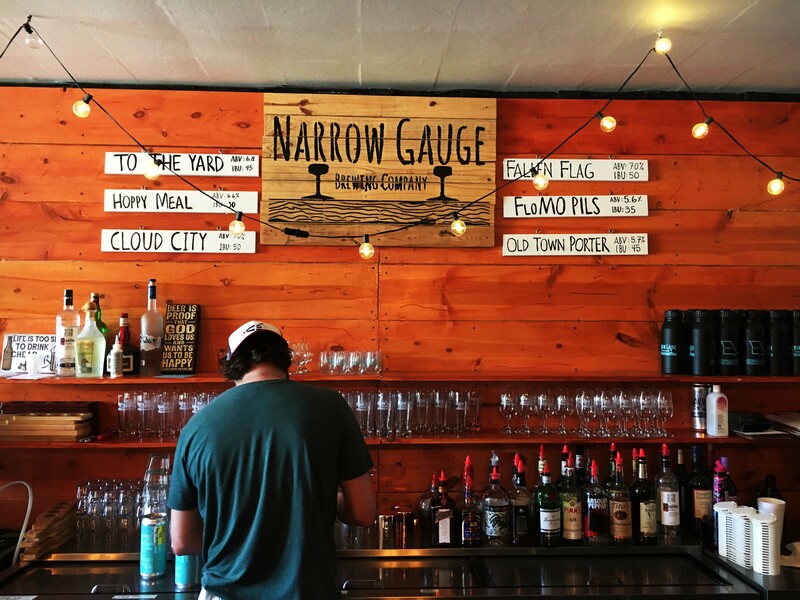 Breweries such as Hopewell (First Lager), Cigar City (Jai Alai), Around the Bend, Burr Oak, Miskatonic, Temperance, Ravinia, Allagash and Gun Craft join Revolution, Hop Butcher, Goose Island, Pipeworks, Bell’s, Off Color and the rest from last year in the Kave this year. 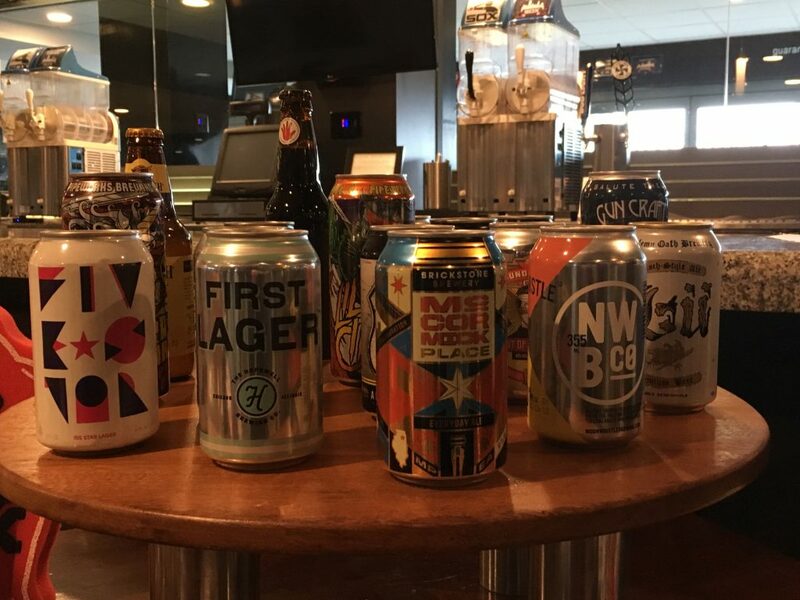 Joe Nigro, Delaware North general manager at Guaranteed Rate Field and buyer for the Craft Kave, said that pale ale was the best selling style last year, with IPA second, so this year about 33 of the offerings in the Craft Kave will be of the hoppy variety. He would not divulge the best selling beer/breweries, but did say it was a local one. Beers are constantly being ordered throughout the season so as to change some of the styles ever so slightly, so those worrying about fresh beer should attend in either April, June or August to get the freshest possible. That also means, at worst, you’ll have a two month old hoppy beer, well within our acceptable range. Drink away! The currently under construction Revolution #SoxSocial taproom. This is why you’re reading this. 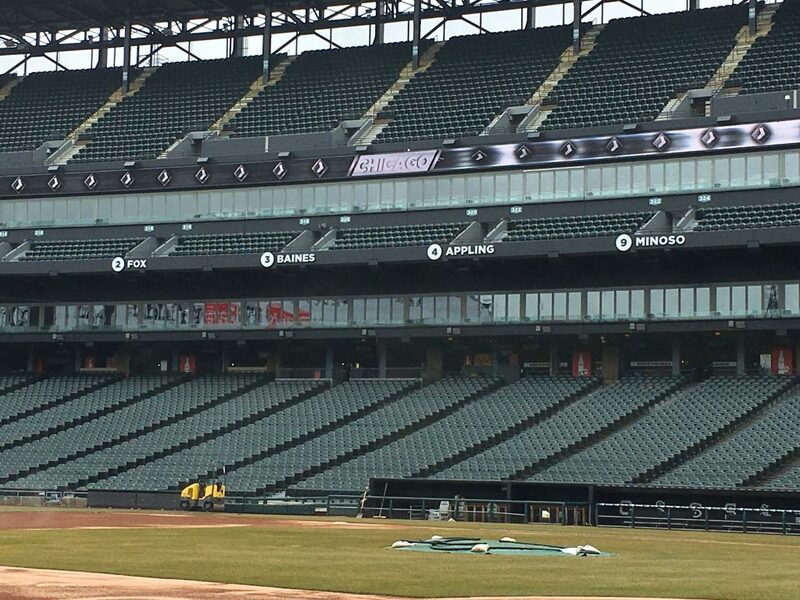 The #SoxSocial media hub (also known as the only place that you have any chance of being able to load anything on the wifi on your phone at the ballpark) has now moved to a bigger, rebranded space. 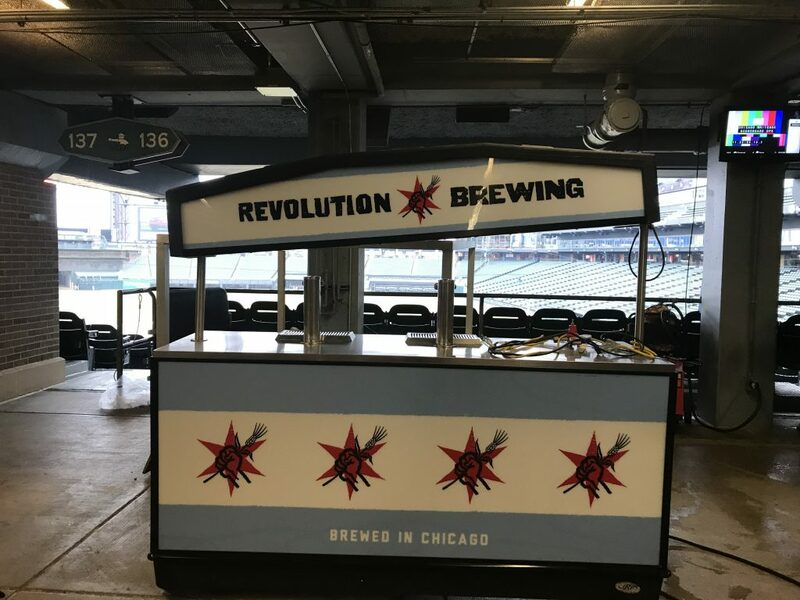 In addition to offering #SoxSelfie spots and kiosks to redeem MLB Ballpark app offers, the Chicago White Sox have partnered with Revolution Brewing to offer food and Revolution beers on tap. It’s located near Section 157 (left field corner) and they weren’t quite ready to have people there as it hasn’t been finished yet! But do not fear! It should be ready and open for Opening Day on Thursday, April 5, with some potentially stellar offerings on tap, like Deth’s Tar. I am still pushing for V.S.O.X., some V.S.O.J. or V.S.O.D. with chocolate and vanilla (black and white for the White Sox!) Made it happen Rev. While the White Sox will most likely be, well, not good this year, but things are looking up for the on-field product. The food and drink options, however, are beyond reproach and worthy of visiting by themselves. The Craft Kave was a revelation last year and only looks to get better this year, plus they’re adding basically a Revolution tap room. The food, as always, is outstanding. 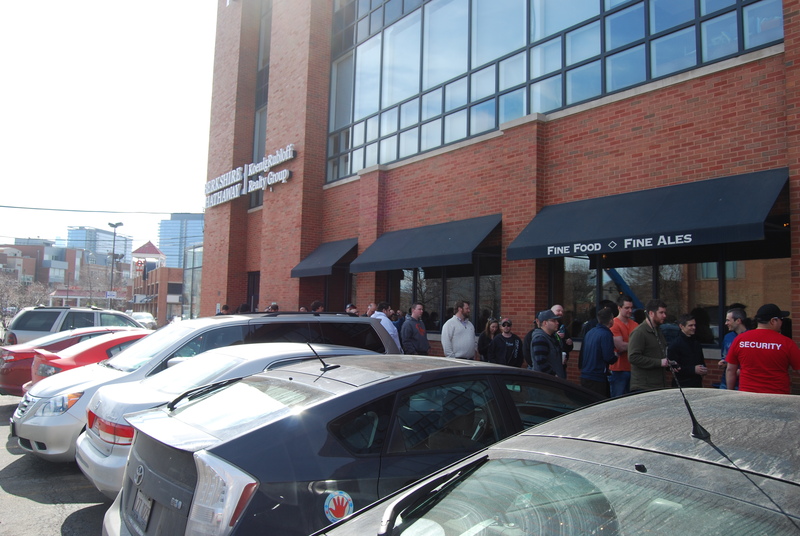 Just as the 2018 Chicago White Sox will be Ready to Compete, the 2018 Chicago White Sox fans are Ready to Eat (and Drink).